To start a simulation, the first step is to create a new simulation element. asynchronous is a flag that determines if the simulation should be run at a deterministic rate (synchronized to the timebase), or as quickly as possible. The default is false. duration specifies the duration of the full simulation in seconds. 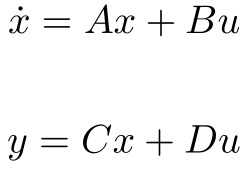 The default is for an infinite duration (-1). period is the period of the simulation loop in seconds. For example, a simulation that updates at 50Hz would have a period of 0.02s. We recommend not running simulations at rates faster than 100Hz or a period of 0.01s. The default is 0.01s. loop is a flag that determines if the simulation should loop after it has reached its duration. The default is false. Simulations have four methods that can be used to control their state. Theses methods are called from script, and can be called from a simulation event (e.g. onActivePageChanged) or from a control (e.g. a button). Using the onUpdate event to create a custom script for a simulation with a specified period is a good way to create a deterministic simulation that does not involve a traditional block diagram. For example, if you wanted to update the position of a falling rock for a simple physics simulation you could easily create a simulation and script that solves for the position of the rock at each time step. When the button is pressed, the simulation runs for 10 seconds, updating the distance fallen by the rock every 0.01 seconds. The values are stored in a label at each time step. Note that time is the current simulation time and can be accessed inside of the onUpdate event. For information on inherent event variables, see the Scripting Reference. The OutputsAt(int port) and OutputAt(int port, int signal) methods are also inherent methods that are members of simulation elements, and can be called in a script to access the current values at those locations in the model diagram. The below examples demonstrate how to alter the simulation solver. When you initially create a simulation and define blocks, they are not connected together but independent elements in the simulation space. In order to connect the blocks and form your virtual block diagram, you need to define how the blocks are interconnected. There are several approaches that can be taken to wiring the blocks together. The parallel elements behave in much the same way as the series elements, splitting a value between different paths, before combining them using a summation. The systems that are applied to the paths are connected in the order in which the elements appear in the parent. For example, to connect the same transferFunction elements in the earlier example you would change the series tags to parallel tags. By default elements in parallel are added together. Elements can be subtracted or added by adjusting the polarity property, which indicates the polarity of each element being summed. The "+" symbol denotes positive polarity while the "-" symbol denotes negative polarity. The feedback parent element is the final automated wiring option. The two elements that are placed into feedback blocks are treated as the open (or forward) loop element, and the feedback element in a closed-loop system. If only one element is provided, then it is treated as a closed-loop system with unity feedback. Feedback is negative by default. Take a look at the following code. Which creates the system below. If the signal is omitted, then the whole port is connected. If the port is left out, then the first port is connected. The system must be defined, but the solver also be left out as long as the connection is not made between multiple solvers. To connect ports to multiple destinations, a list of ports can be provided. clock: The clock element is a source that outputs the current simulation time in seconds. constant: Can be used to define a scalar or vector constant. sine: Creates a sine wave. Can specify amplitude, bias, frequency, and phase. square: Creates a square wave. Can specify amplitude, bias, frequency, and phase. step: Creates a step function. Can specify initial value, final value, and time that step occurs. ramp: Creates a ramp function. Can specify amplitude and bias. triangle: Creates a triangle wave. Can specify amplitude, bias, frequency and phase. sawtooth: Creates a sawtooth wave. Can specify amplitude, bias, frequency and phase. signalGenerator: Creates a wave of the specified type. Can specify amplitude, bias, frequency and phase. Waveform should be specified. The waveform blocks can also be used to generate multiple waves in a vector without having to define the sources independently. The number of series in the plot must be specified. Once you have added sources to your model, you will likely want to define a model using continuous systems. There are a few methods available to define a model. A special feature of the transfer function blocks on the qdex platform is that they are designed to accept both scalar and vector inputs. This means that, for example, you could pass several datasets through a single transfer function representing a low-pass filter and it will apply the filter to all of them. This approach, along with similar approaches taken with several of the other blocks available using the framework, allows authors to create systems with fewer blocks than would be conventionally required. a="0 0 1 0; 0 0 0 1; 0 149 -15 5; 0 -262 14 -8.6"
c="0 0 0 0; 0 0 0 0; 0 0 0 0; 0 0 0 0"
creates a state space model that represents a rotary pendulum. The system block can be used to create a completely custom system by first identifying the number of states, and then the input and output widths. Finally, you can define the value(s) that are used by the solver to calculate the derivatives and outputs of the system. When the solver is called at each time-step of the simulation, it triggers the onDerivatives event, which is responsible for providing the value(s) that are used by the solver to calculate the derivative of the state(s). It also calls the onOutputs event which uses Lua script to calculate the output at each time step. In this manner, you can create arbitrary linear or non-linear system definition. Typically when plotting simulation data you should use a timePlot, as it automatically plots the data against the simulation sample time. You can also output points to an xyPlot, where the data passed through the probe will be treated as X-Y pairs. To do this, simply set the time attribute on the probe to false. The probe element also has a conditional attribute which will only write data when specified. When the conditional attribute is set to true, a second input port opens. When a non-zero value is passed through this second port the probe will write data to the referenced XML element. When a zero value is passed through the second port, no data will be written from the probe. In this example data is only written to the target when the simulation time is greater than 1 second. The signal element is similar to the probe, but acts in the opposite direction. Creating a signal element allows you to access an external data source and integrate it into your simulation directly without the need for additional Lua scripting. For example, the following code would take the value from a slider and use it as an input to a feedback loop. This same method can be used to connect a button, text input, etc. gain: Multiplies a scalar or vector signal by the value of the gain. Supports both element-wise and matrix multiplication, set using the mode attribute. product: Finds the product of the inputs to the block, or any subsystems provided. Includes a reciprocality attribute to set the reciprocality of each element being multiplied (* or /). divide: Computes the division of its two inputs. sum: Finds the sum of the inputs specified. If only one input is provided, it finds the sum of the elements in a vector. subtract: Finds the difference between two inputs. A unary operation which computes the absolute value of each element of the input signal. A unary operation which computes the inverse cosine of each element of the input signal. A unary operation which computes the inverse hyperbolic cosine of each element of the input signal. A unary operation which computes the inverse cotangent of each element of the input signal. A unary operation which computes the inverse hyperbolic cotangent of each element of the input signal. A unary operation which computes the inverse cosecant of each element of the input signal. A unary operation which computes the inverse hyperbolic cosecant of each element of the input signal. A unary operation which computes the inverse secant of each element of the input signal. A unary operation which computes the inverse hyperbolic secant of each element of the input signal. A unary operation which computes the inverse sine of each element of the input signal. A unary operation which computes the inverse hyperbolic sine of each element of the input signal. A unary operation which computes the inverse tangent of each element of the input signal. A binary operation which computes the arctangent of each element of the first input signal with the corresponding element of the second input signal. If either input is a scalar, then the scalar is applied for each element of the other signal. A unary operation which computes the inverse hyperbolic tangent of each element of the input signal. A unary operation which computes the ceiling of each element of the input signal. A unary operation which computes the cosine of each element of the input signal. A unary operation which computes the hyperbolic cosine of each element of the input signal. A unary operation which computes the cotangent of each element of the input signal. A unary operation which computes the hyperbolic cotangent of each element of the input signal. A unary operation which computes the cosecant of each element of the input signal. A unary operation which computes the hyperbolic cosecant of each element of the input signal. Converts each element of the input signal from degrees to radians. A unary operation which computes the exponential of each element of the input signal. A unary operation which computes the floor of each element of the input signal. A unary operation which computes the natural logarithm of each element of the input signal. A binary operation which computes the logarithm of each element of the first input signal using the corresponding element of the second input signal as the base. If either input is a scalar, then the scalar is applied for each element of the other signal. A unary operation which computes the base-10 logarithm of each element of the input signal. A unary operation which computes the base-2 logarithm of each element of the input signal. A binary operation which computes the modulus of each element of the first input signal with respect to the corresponding element of the second input signal. If either input is a scalar, then the scalar is applied for each element of the other signal. A binary operation which computes the power of each element of the first input signal to the corresponding element of the second input signal. If either input is a scalar, then the scalar is applied for each element of the other signal. A unary operation which computes ten to the power of each element of the input signal. A unary operation which computes two to the power of each element of the input signal. Converts each element of the input signal from radians to degrees. A unary operation which computes the reciprocal of each element of the input signal. A binary operation which computes the IEEE remainder of each element of the first input signal with respect to the corresponding element of the second input signal. If either input is a scalar, then the scalar is applied for each element of the other signal. A unary operation which computes the rounded value of each element of the input signal. A unary operation which computes the secant of each element of the input signal. A unary operation which computes the hyperbolic secant of each element of the input signal. A unary operation which computes the sign of each element of the input signal. A unary operation which computes the sine of each element of the input signal. A unary operation which computes the hyperbolic sine of each element of the input signal. A unary operation which computes the square root of each element of the input signal. A unary operation which computes the square of each element of the input signal. A unary operation which computes the tangent of each element of the input signal. A unary operation which computes the hyperbolic tangent of each element of the input signal. A unary operation which computes the truncation of each element of the input signal. The logic block can be used to apply a logical operation to each element of the input signal(s). Specify the operation using the op attribute. Inputs can be specified before the logic block, or inside of it. A binary operation which outputs one if both inputs are non-zero and outputs zero otherwise. A binary operation which outputs the bitwise AND of its two inputs. A binary operation which outputs the bitwise implication of its two inputs. A binary operation which outputs the bitwise NAND of its two inputs. A binary operation which outputs the ones complement of the bitwise implication of its two inputs. A binary operation which outputs the bitwise NOR of its two inputs. A unary operation which outputs the ones complement of its input. A binary operation which outputs the bitwise OR of its two inputs. A binary operation which outputs the bitwise XNOR of its two inputs. A binary operation which outputs the bitwise XOR of its two inputs. A binary operation which outputs zero if its first input is non-zero and its second input is zero, and outputs one otherwise. The operation is known as material implication. A binary operation which outputs zero if both inputs are non-zero and outputs one otherwise. A binary operation which outputs one if its first input is non-zero and its second input is zero, and outputs zero otherwise. The operation is the logical negation of material implication. A binary operation which outputs one if both inputs are zero and outputs zero otherwise. A unary operation which outputs one if the input is zero and outputs zero otherwise. A binary operation which outputs one if either input is non-zero and outputs zero otherwise. A binary operation which outputs one if one input is non-zero and the other input is zero, and outputs zero otherwise. The operation is known as the exclusive OR. A binary operation which outputs zero if one input is non-zero and the other input is zero, and outputs one otherwise. The operation is known as the exclusive NOR. The compare block can be used to compare its input signal(s). Specify the type of comparison using the op attribute. The comparison mode can also be set using the mode attribute. Compares the input(s) on an element-by-element basis. The output is a vector of the same size of th input. This is the default comparison mode. Compares if any of the elements in the input(s) satisfy the comparison. The output is a scalar. Compares if all of the elements in the input(s) satisfy the comparison. The output is a scalar. A binary operation which outputs one if the first input is less than the second input and outputs zero otherwise. A unary operation which outputs one if the input is less than zero and outputs zero otherwise. A binary operation which outputs one if the first input is less than or equal to the second input and outputs zero otherwise. A unary operation which outputs one if the input is less than or equal to zero and outputs zero otherwise. A binary operation which outputs one if the first input is equal to the second input and outputs zero otherwise. A unary operation which outputs one if the input is equal to zero and outputs zero otherwise. A binary operation which outputs one if the first input is not equal to the second input and outputs zero otherwise. A unary operation which outputs one if the input is not equal to zero and outputs zero otherwise. A binary operation which outputs one if the first input is greater than or equal to the second input and outputs zero otherwise. A unary operation which outputs one if the input is greater than or equal to zero and outputs zero otherwise. A binary operation which outputs one if the first input is greater than the second input and outputs zero otherwise. A unary operation which outputs one if the input is greater than zero and outputs zero otherwise. The switch element allows you to select a specific signal, or dynamically switch between different signals from Lua based on the Selection property. If only one input is specified, then it will select the output from among a vector of input signals. If there is more than one input, then it selects the input specified as the Selection index. or, you can even create a vector of the various inputs and select between the signals in the vector. The switch element can also be used to wire a single input into multiple output ports. or to reroute the elements of a single input vector to different output ports. The mux block combines multiple signals together to form a single vector signal. The input signals can be specified inside of the block or beforehand inside of a stack. The following examples both perform the task of combining two sine waves and displaying the data on one plot. The demux block is used to split a vector into its constituent components. The output signals can be specified inside of the block or afterwards inside of a stack. The following examples both perform the task of splitting two sine waves and displaying the data on different plots. Demultiplexing can be used to separate input data into specific outputs of varying widths. By setting the output attribute to a list of values, you can specify the widths of each output port. In the following example the input signal is a vector of width seven, and the demultiplexer separates the signal into three output ports. [1 2] on output port one. [4 5 6 7] on output port three. This method of routing signals is invaluable when receiving multiple sets of data over a stream. The selector block selects between its input signals or ports based on its first input. If there are two input ports, the selector input determines which elements from the second input will be routed to the output. If there are more than two input ports, the selector input determines which input ports are routed to the output(s). Outputs the value 7 to the output port. Outputs the vector [12 5 4] to the output port. Outputs the value 8 to the output port. Outputs value 8 to output port one, value 1 to output port two, and value 4 to output port three. The using element allows its subsystem(s), to be treated as if they have the input and output numbers specified in the using attributes. This essentially forces the contained systems to map their input and output ports to the values specified instead of port 1. For example, a controller block defined in a parallel element contained in the using block could be forced to apply the control action to the third and forth elements of an input vector, but output only the second port. Some simulation tools don't fit easily into the other categories. You'll find those blocks here. The memory block allows you to delay an input signal by the specified depth, where the depth specifies the signal delay by number of timesteps. For a simulation period of 0.1, the following block will delay the input signal by 0.8 seconds. Though it's somewhat different from the other blocks that are used to define models in that it only has one behaviour, the saturation block is used to limit the range of a signal. The range is defined using the max and min attributes, and can be applied to a single value, or vector of multiple values. One final element can be used in a simulation, if desired. The break element can be placed anywhere in a simulation model to specify the location where the solver should break any algebraic loops. These loops are formed when values are returned, or fed back into an earlier part of a system. By default, the simulation will locate the deepest point in the model defined by the simulation system, and break the loop there. Now that you've read through all the simulation guides, let's bring it all together with a few quick examples. These examples will compare block diagrams with their qdex simulation equivalencies. This example uses two types of block connections, a gain element, and a transfer function to modify a sine wave. The result is output to a plot. In the equivalent qdex module, the simulation is started when the page is active (that is, open) and is stopped when the page is inactive. This example uses multiple input signals, a feedback loop, and a number of math elements. 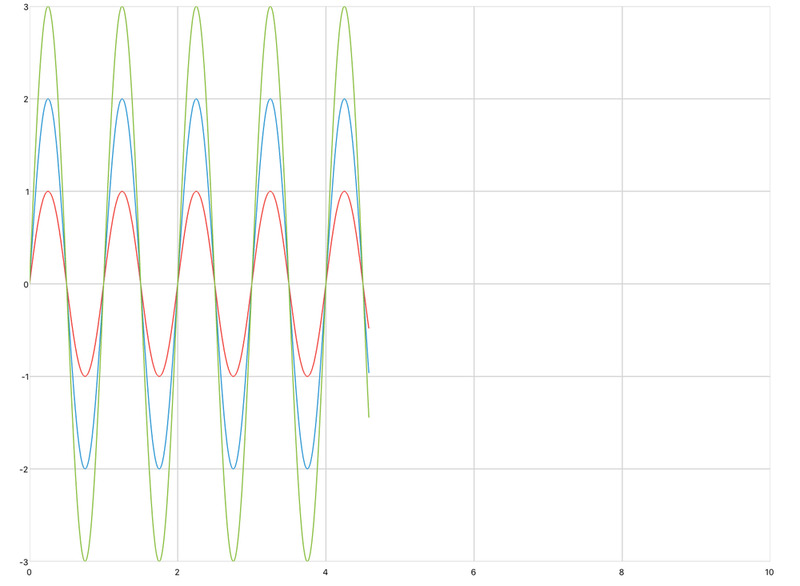 The resulting waves are muxed together so that they can both be output to the same plot. In the equivalent qdex module, the simulation is started when the user presses the button, and stops after 10 seconds. Note that to output both waves to the same plot, the series attribute in the timePlot declaration must be set to 2. This is an example of a simple system being used to animate a shape. The source is created using a sine wave multiplied with a function in a system to create decay. Two plots inside a stack are used to plot the response and animate a ball.